We have all been looking forward to the new season of Stranger Things here in the London studio, and Mark’s discovery of a Stranger Things mobile game got us all very excited! In fact, it’s been the center of our lunch time conversations lately and has become our favourite pasttime on our daily commutes. We truly love its beautiful, pixelated style that’s reminiscent of our favourite 80s and 90s video games, and the game’s structure, reminding us of early Zelda and Pokemon for the Nintendo Gameboy. It was also nice to refresh the Stranger Things story before the new season comes out. 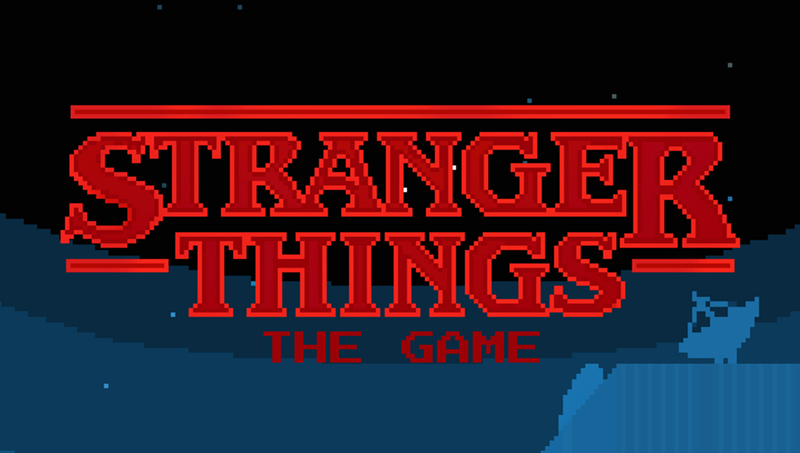 Stranger Things is a retro 2D exploration game and is split into chapters; each chapter normally finishes after you’ve been through a dungeon, with a few tough enemies to defeat, after which you find a new character. 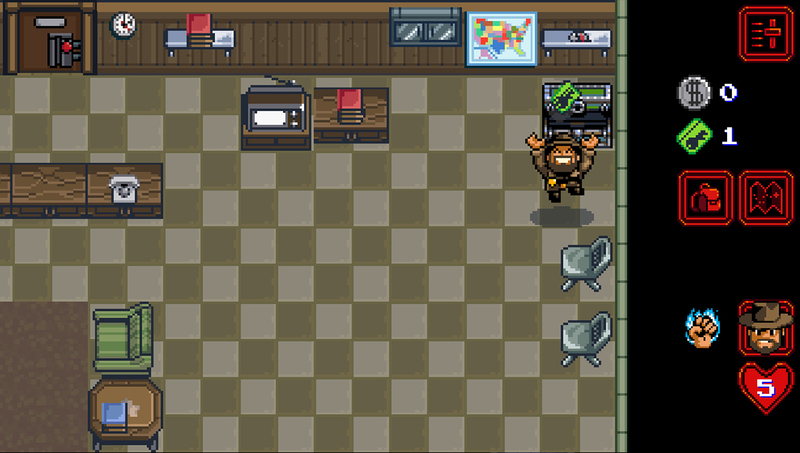 You start off as Hopper but as you go through dungeons and defeat enemies, you find new characters from the show and you can switch between them, each of whom has their own special ability. As you get to the end, there’s also another character which should get released now that Season 2 is out. There’s plenty of locations to explore, characters to meet and items to find which make the game interesting. In terms of UX we thought it was pretty strong; it’s easy to navigate and play, and the map helps you identify where you have to go next and understand what areas haven’t been unlocked yet. There’s almost no hand holding, reminiscent to older video games where you’re required to experiment and find out the benefits of using each character. The UI is minimal enough that you don’t waste time going through menu screens trying to figure out what to do next. 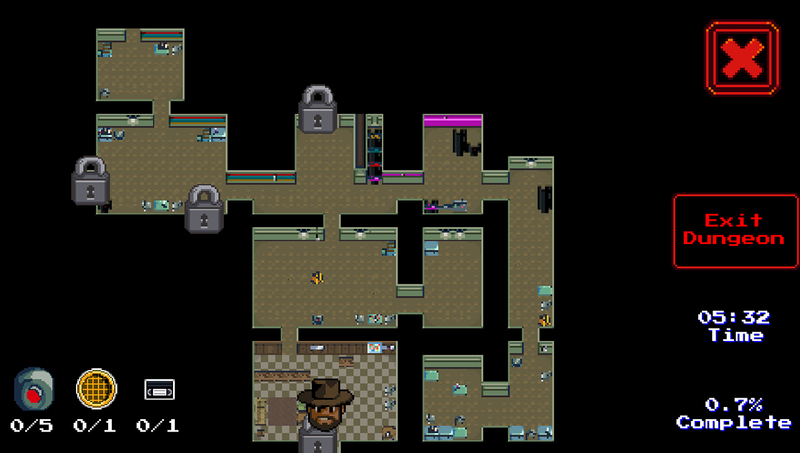 One small thing we found a little frustrating is the “Exit Dungeons” button when you’re on the Map from inside the Dungeon. We’ve all erroneously clicked that (instead of the close map) and frustratingly been teleported all the way back to the start of the dungeon. Also, we all got to about 92% and stopped there. After finding all the characters and going through all the dungeons, there is still quite a lot of items to find. You have to go back through every single place, to see what you can now access thanks to your new character’s abilities. For example, once you get Will you can go through tunnels that have been littered through several dungeons you’ve already passed through, and so on. However, whilst the map previously indicated where you had to go, now you just have to go bit by bit hoping to find something. Saying this, we’re all looking forward to watching the new season, and to find the new character in the game! I actually started the “Classic” version now, which is meant to be harder, and marking down where there are passages to access at a later stage for the final items. Similarly to the TV series, the game design has been really successful at evoking a sense of nostalgia which has inspired us to go back to some of our old video games and to look for more retro games on our smartphones.